Home > SEO > SEO – The World of Illusion! As a SEO expert, can you predict the effort for your site regarding page rank, keyword rankings, keyword search volume after doing certain SEO process. As it is predicted its not be a accurate result. So there is some illusion and uncertainty in SEO. Let us see in this blog. I am going to highlight two major conflicting issues in SEO. Does a search engine follow a no-follow tag? When I analyze my competitor backlink, which has good Google PR than my site, I was bit shocked when I found my competitor site gets a majority of backlink as no follow but from a decent trusty high PR sites. So does no-follow links pass link juice and I also found that some no-follow links are indexed as a backlink in yahoo site explorer. Now my question is does google follows a no follow link of trusty or high PR site? Today paid link are become one of the common practices among SEO’s. 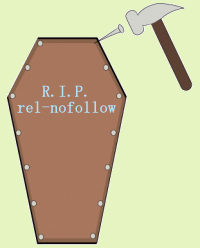 So according to him, rel=”nofollow” tag should be implemented to stop the flow of Page Rank. In case if Google spot the paid links in sponsored or featured column. Then what happens if paid link is given in some other Navigational area. Does Google able to detect that. My question is that what happens if a link is purchased and placed manually after reviewing that link, does this requires a no follow?, I think Yahoo Directory doing this process. In Yahoo’s case you’re not paying for the link; you’re paying for the review. So the review is paid for and not the link. Google states that its fine if you purchase link for advertising, but its not fair to purchase link for manipulating the rankings. But the problem is that, Some SEO’s looking for a page rank, link popularity using paid links. I think the ‘best’ paid links are purchased directly from the domain owner and have no revealing signs. I only mentioned two issues in this blog, but there are many issues kept unrevealed in search engine algorithms.. But finally I would like to say that as a person involved in SEO you should be patience in your work since SEO is a long term process. So keep doing a SEO in ethical manner and you get the result that you are looking for. 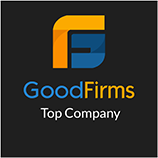 ‹ AdMob acquisition – Why did Google make this move? I’m seeing a number of people incorrectly using a nofollow value in the rel attribute for links to pages of their own site, where they should be using a robots.txt disallow statement or a “noindex,nofollow” value in a meta tag to accomplish what they intend to do – keep the search engine spiders from visiting those particular internal pages and getting caught in spider traps and not having those pages included in the search engine’s index.